Preheat oven to 450°F. Line a baking sheet with foil sprayed with vegetable oil. 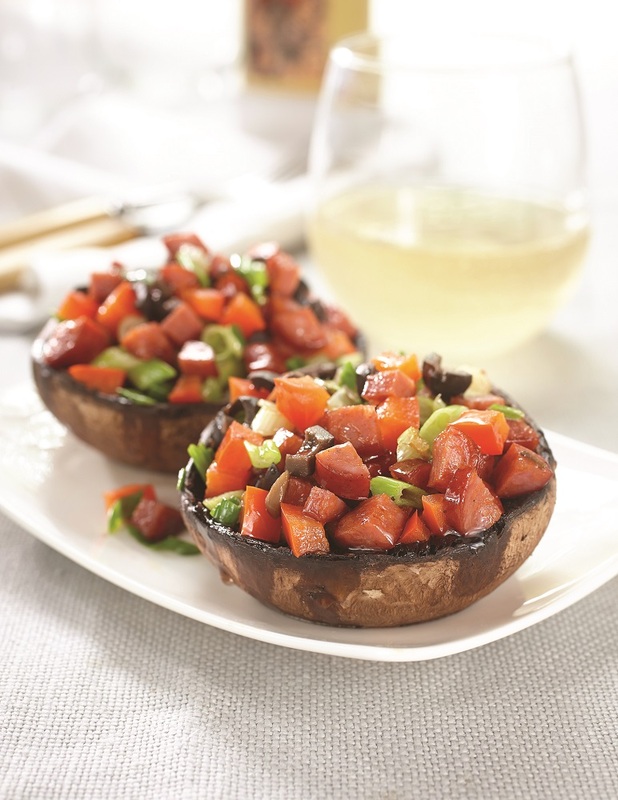 Remove stems from mushrooms and dice until you have ½ cup. 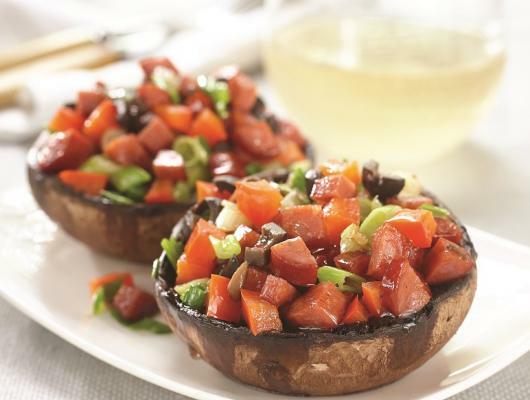 Place mushroom caps on baking sheet and spray both sides with vegetable oil. Bake for 15 minutes or until tender. Meanwhile, heat a skillet with vegetable oil spray; add oil and sauté onions for 3 minutes. Add pepperoni and sauté for 3 minutes. Add garlic and mushroom stems and sauté for 3 minutes. Add bell peppers and olives; sauté for 2 minutes. Preheat oven to broil and spoon pepperoni filling over top mushroom caps. Sprinkle olive oil over top and broil for 1 minute just until topping browns. Serves 4.